Catherine and Adam’s elegant Backyard wedding took place at their couple’s own home! The couple decided to celebrate their marriage with a fabulous tent reception on the stunning grounds of their new family home. 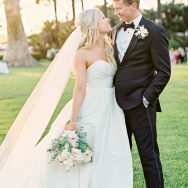 We’re loving the elegant-yet-casual style that the couple implemented with the help of Elise Schmitz of Toast Events. 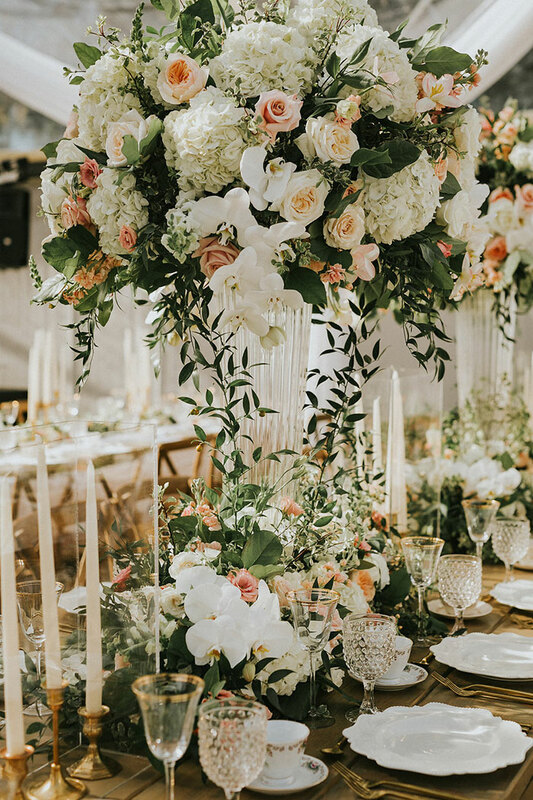 The reception details are gorgeous from the hundreds of taper candles, to the suspended white floral structures by The Design Co. Florals to the draped linen panels lining the tent. We love the way the design of the candlelit dinner is both incredible lush and totally relaxed at the same time. 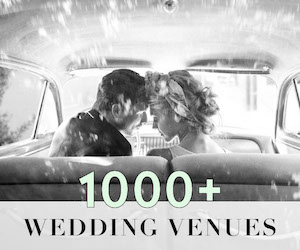 Check out all the details in these gorgeous images captured by Joel & Justyna. Adam and I just purchased what we hope will be our forever home and we were able to do both the ceremony and the reception in our very own yard. We purchased a home that was obviously too large for just the two of us, but we purchased it with our future family in mind. If we are lucky, one day when we tell our kids about our wedding and we show them our photos, they will get to see what the house used to looked like. We also don’t know anyone that had their wedding in their own yard. Not too many people get to do that we are so fortunate that we did. I originally took my mother and mother-in law to look at gowns in New York. I needed something a bit low key as I was just at the very beginning of the process. I went to With Love Bridal in Kanata on a Wednesday afternoon by myself. I was paired with the owner of the store who made the experience calming and not too fussy. This was the second dress that I tried on and it was between this dress and another one that I really liked. But it wasn’t until she put on the veil that I decided that this was the one. I liked that it was simple, with a pretty back detail. I didn’t want aggressive beading or shimmer. I just wanted the dress to be pretty and to look like me, and I wanted it to be a timeless that I would still like when I looked back on photos many years later. I also liked that my dress was going to be a surprise to my whole family. I offered to show my mom and bring her subsequent appointments but she agreed that the surprise was better! We had so many! 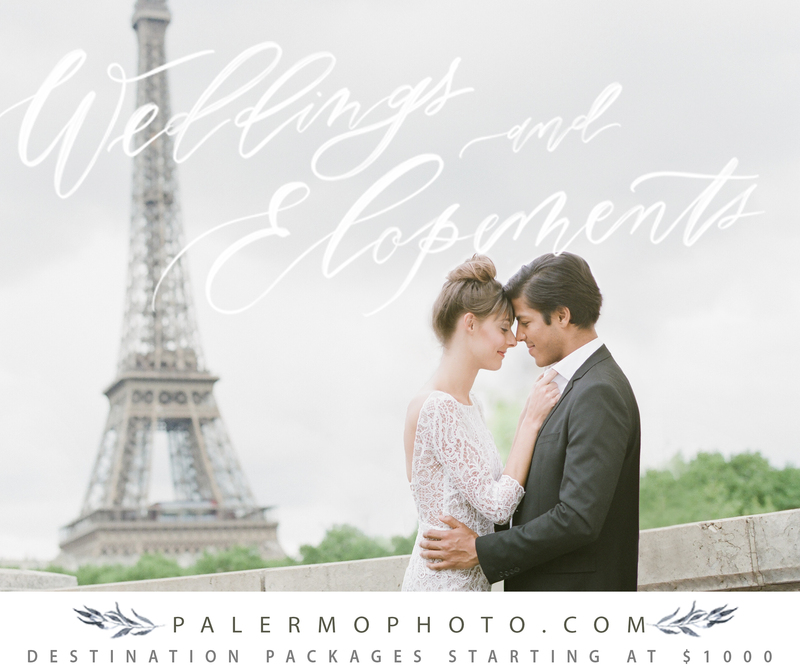 Because we wanted the day to be personal we really paid attention to every detail! Here are some of my favorites! Walking down the aisle, I hired Adam’s favorite blues singer in town to play during the ceremony and cocktail hour. He learned Mary’s Song (which is really not what he does) just for us. It made both our mothers cry. Also, his raspy voice was just so lovely it would make anything sound romantic and sweet! Both my husband and I have, or are currently working in the beverage alcohol industry and specifically Canadian Whisky is something that we both have spent the better part of our careers working with. I stumbled upon this adorable tradition called Burry the Bourbon while on Pinterest one day. It’s a southern tradition where that the bride and groom bury a bottle of bourbon upside down on the site of their wedding exactly one month (to the day) before your wedding. This is to ward off any rain. On the wedding day, the groom digs up the bottle and it is shared as the first toast with the bridal party. Given our strong relationship with Canadian whisky – we swapped out the bourbon for a bottle of Wiser’s Red Letter (stellar by the way and the box photographed VERY well). I have to say, even with the swap it worked. It rained the entire week of our wedding with the exception of our actual wedding day. October is a bit of a gamble weather-wise but it was beautiful and sunny. In addition to not loving the idea of speaking in public, I am also a ugly-crier at best and didn’t think I could get through a thank you speech without crying. And really no one wants a photo of that! So instead of long, drawn out speech Adam and I individually wrote thank-yous to each of our guests. Guests were assigned seats at dinner and a personalized message was written to each person thanking them for the contribution that they had made to our lives and taped underneath their seats. At speech time, instead of the bride and groom toasting each other we toasted to our family and friends and asked them too look under their seats. The Cigar Roller! My husband LOVES cigars and Whisky. Since we have been together a long time we had already exchanged the classic gifts like watches, and cuff links etc. As his gifts, I brought in Frank Correnti from Toronto to do cigar rolling for our guests. 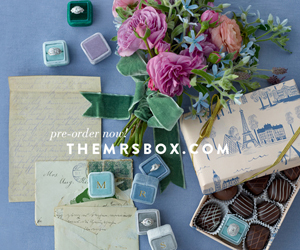 I even had little matchboxes made with the initial of our last name to make it a bit more special. The leftover boxes now sit atop a whisky barrel that we got as a gift in our home. For me, the most memorable part of the day was having my brother do the ceremony. Adam and I actually got legally married the weekend before, leaving the ceremony available for us to do whatever we wanted. It was quick and very sweet and a bit emotional (honestly – to this day I have no idea how I didn’t cry) and we were so lucky to have someone that loved us so much performing the ceremony. For Adam, he will say hands down the dinner. The food was straight up spectacular. Adam and I wanted to mix elegant and casual as much as possible as that is very much who we are. We are the type of people that will go to a black tie dinner on a Friday and then drive up to a friend’s cottage on Saturday and spend the weekend in flannel and jeans. So our guests wore black tie, but we served family style BBQ. SWAY band was amazing and created the perfect tempo for the meal; people were laughing and having a great time. It felt like a fancy family dinner. We tried to cut out a lot of the formality of a wedding. So we just had a 2 minute welcome speech and our speech and that’s it. We also opted out of a formal cake cutting and chose to do it off to the side unannounced instead. I did not toss a bouquet and we didn’t do the garter toss. Instead we did dueling Champagne fountains. Adam and I met when we were 8. Our parents have been best friends for years and we even vacationed together when we were young. In truth, it was not love at first sight. In fact, we didn’t really even start spending too much time together until we were teens. Although we both admit that the flirting started then and continued throughout university. It was not until well after university that we really started dating. We actually didn’t even tell our parents for a solid 6 months because we didn’t want them to get their hopes up (as we had no idea if this would work out or not). Adam and I got engaged 2 years ago at our annual Christmas party. Every year (except this year – we had a wedding instead) we host a party that usually brings in about 40-60 of our friends to enjoy in the Christmas cheer. Adam had my ring made in Toronto and a friend of ours was bringing the ring to Ottawa that day. Adam had actually been planning the engagement for a long time and was planning on proposing the next day. But Adam has never been very good at waiting to give gifts; he just has never been able to do it – I generally get my Christmas gift at the beginning of December because the thought of holding onto it for a month seems silly to him. He had wanted to propose the next day after all the chaos of the party had settled and he wanted us to be in PJ’s having a coffee and cuddling on the couch avoiding cleaning up. But in true Adam style, I think he had the ring in his pocket for about a half hour before he popped the question. We were in the kitchen doing dishes before guests arrived and he just couldn’t wait. 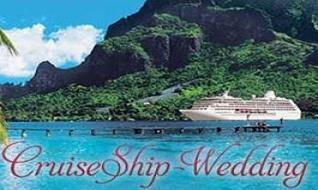 He also surprised me with a vacation to St. Lucia and our flight was the next day. So we enjoyed the evening with our friends with some Christmas cheer and then spent a week on the beach. Ok you guys, this is AH-dorable! Leah and Matt invited their dearest friends and family to the Tremont Taphouse for a “surprise birthday party” for Leah, but soon informed their loved ones that the surprise was on them and that they were actually at the couple’s wedding! 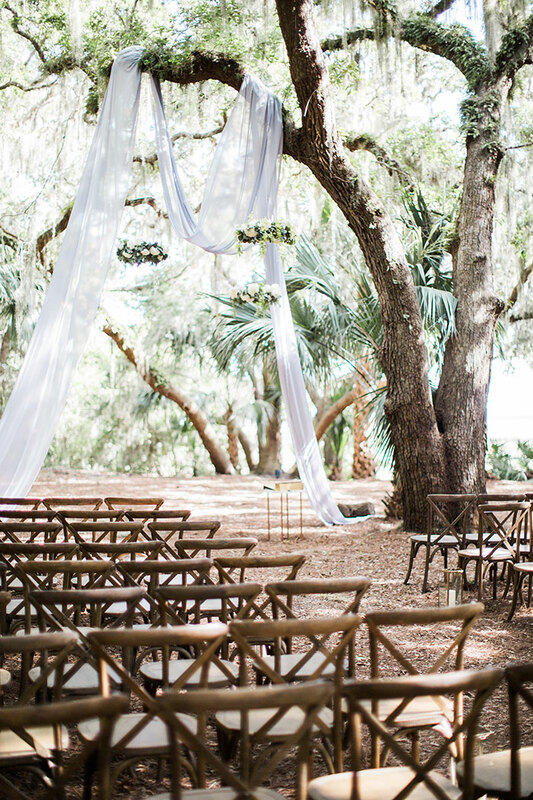 Event planner Brigit Jade, had her work cut out for her with the challenge of creating an ceremony altar that wouldn’t be a dead give-away. 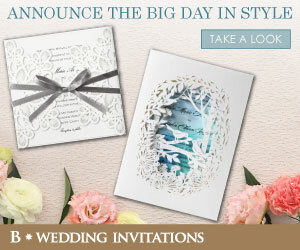 She nailed it with subtle florals by Urban Orchid and a super cool graphic theme. The look was organic, modern, and simple, featuring succulents, muted tones and neutral woods. Mann & Wife Visual Storytellers ere on had to capture all the excitement and joy of Leah and Matt and the people who love them. Too sweet! from the team: The thing that made this wedding so unique and special is that no one (besides the bride and groom) knew that the couple was getting married on Saturday July 9, 2016. Friends and family gathered assuming that they were showing up to Leah’s surprise 30th birthday bash. Little did they know they were actually in for the surprise of a lifetime! Matt and Leah weren’t engaged, so the look on everyone’s face when Matt announced that the surprise was actually on the guests and that they were going to be wed was just so special and unforgettable. Guests feasted on small plates and an open bar while the bride and groom took photos with their mastiff, Winston (who also happened to walk down the aisle before the bride!). After dinner, guests were treated to a Spotify playlist and donuts from Jack Frost. 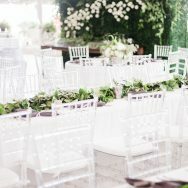 The design for this wedding was a little challenging and unlike any other event that Brigit Jade had designed before. 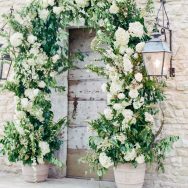 She had to keep the decor and altar discreet enough so that when guests arrived, the surprise wasn’t blown. The decor directly reflected the couple: organic, modern, and simple. The design board featured succulents, muted tones, neutral woods and modern signage. 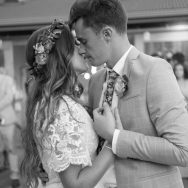 The most important element for Leah and Matt was the love shared between everyone there, not the price tag of their event. 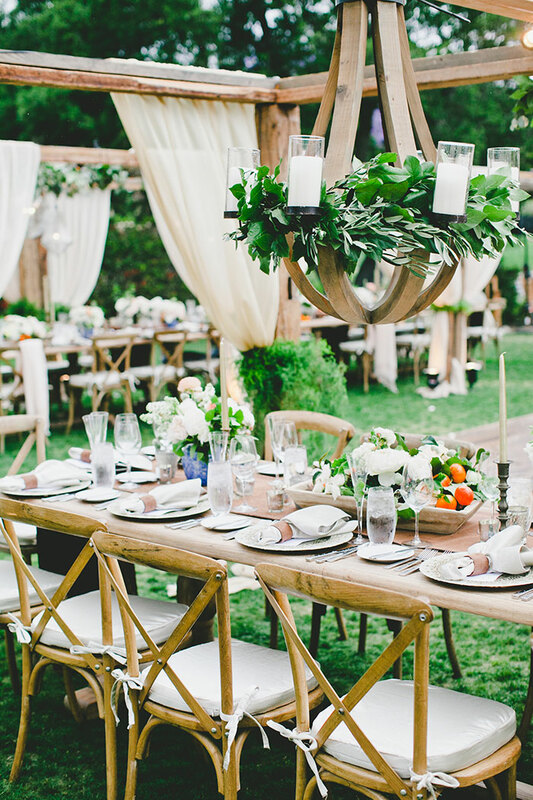 We’re celebrating summer, as it comes to a close, and this wedding at Spanish Oaks Ranch planned by CJN Event Planning with design and decor by 43Layers , is a perfect summer-send-off. 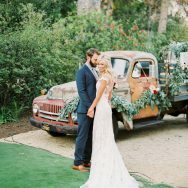 Holly and Andy opted for a garden/outdoor theme with lots of greenery, wild flowers, potted plants, and a ceremony under a big beautiful tree. 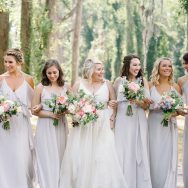 They incorporated an unlimited color palette with bright florals by ADORNMENTS Flowers & Finery and a bridal party in floral-print summery dresses. 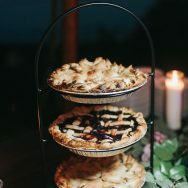 Check out the vibrant images captured by Sarah Kathleen for lots of relaxed details for a late-summer soiree. 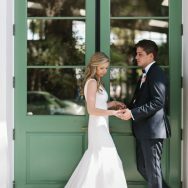 The words/content of the day made our wedding special and unique My Dad (who is incredibly articulate) married us, we wrote our own vows, and my husband gave an amazing speech to thank our guests and family. His speech was a complete surprise. It was an awesomely authentic/real speech about what matters in life, living in the present, and how he struggled with defining success until now. He encouraged everyone to stop rushing through the present, “this is your life”, he quoted “putting things off is the biggest waste of life: it snatches away each day as it comes, and denies us the present by promising the future,” live immediately! Writing vows can be hard, but it was the best decision we made and it’s truly what made the day so special. We shared our love publicly with our friends and family. One of my vendor’s email signature was “don’t worry, everything is going to be amazing!,” and she was right. 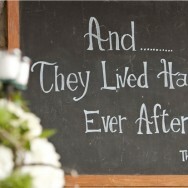 As a bride you are thinking about the details of your big day (flowers, food, table decor, seating chart, music, etc). Remember to take a moment and notice the more important details like your family that are eager to help, your wonderful fiancé who loves and supports you, and your friends that want to celebrate you every step of the way. Dwell on these details. Another piece of advice, pick your florist early on! They help dictate decor (what’s on the tables, down the aisle, welcome area, linens, seating chart display, etc). We loved our florist; she brought our vision to life. The dress is Bliss by Monique Lhuillier, and boy did it take forever to decide! After visiting 10+ bridal stores I finally found my dress at Bridal Galleria in San Francisco. When I told the bridal assistant it was the dress. she was very sweet and encouraging, and I said “it’s just a dress.” This caught even me off guard. As a woman you think about what your wedding dress might look like, and it was such a surreal feeling finally selecting one because I truly realized that it wasn’t important, it really is just a dress. I was searching for that “aha moment” and honestly I never found it, it wasn’t until the wedding day and now looking back that I really love my dress and how it reminds me of the vows I made to Andy. 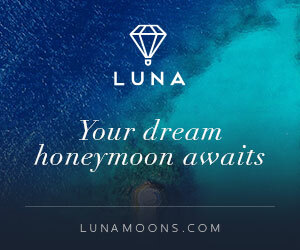 Andy and I wanted our wedding to be unique to us, sentimental, and fun for our guests. Because we love the outdoors, we went for a garden/outdoor theme with lots of greenery, wild flowers, potted plants, and a big beautiful tree under which we were married. People often ask what your colors are when you’re planning a wedding and we didn’t really have colors. We used every color and didn’t want things to be too matchy-matchy. 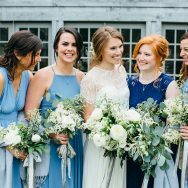 I wanted the bridesmaids’ dresses to be different and feminine, it took me 20+ dresses to find the right floral print (not too girly, not too baby shower-ish). 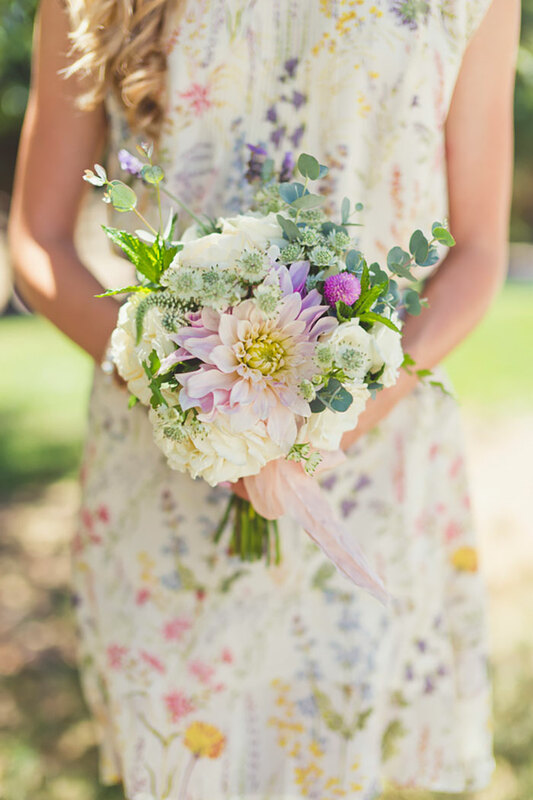 Neutral bridesmaid dresses were popular when we got married so I loved the floral dresses we found because the base was neutral/cream but the pops of wildflowers made them unique. Because the dresses had so many colors, we weren’t boxed into using one color for the flowers or decor. To make things personal we focused on things we love (floral, stripes, nature, Mediterranean food, BLT’s, mojitos, apple crisps, etc) and the talents of the people we love. My brother drew a picture of us hiking with the San Francisco skyline in the background and we used this for our invitations and made logos for the wine bottles, my mom learned calligraphy to make our save the dates, the best man made personalized wooden stir sticks, and my dad built wooden signs for the seating chart display. Some of my favorite decor elements of our wedding were the floral arch and the seating chart display. For the seating chart display, I loved the terra cotta potted plants, especially that they had a dual purpose (informative & decor). My husband’s speech and our vows! Andy and I meet at a friend’s birthday party (at a bar!). Andy proposed at the California Academy of Sciences in San Francisco. This was the spot where two years prior on our first date, I challenged him to “pretend propose” to empty the crowded room in the aquarium. He went along with the prank and from then on, we knew he was a keeper. For the proposal, Andy had set up this same room with mementos from our travels and meaningful items, which included a life size bear. He had to book a private tour, purchasing 25 tickets, in order to get in there after hours at the aquarium. After proposing he surprised me with a dinner at a small restaurant, Sociale in SF where friends and family were awaiting. I was overwhelmed and SO HAPPY. Andy’s mom and dad flew in from Colorado and his sister from Virginia. It was such a wonderful night. Holly & Andy from Matthew Forrey on Vimeo. You guys! 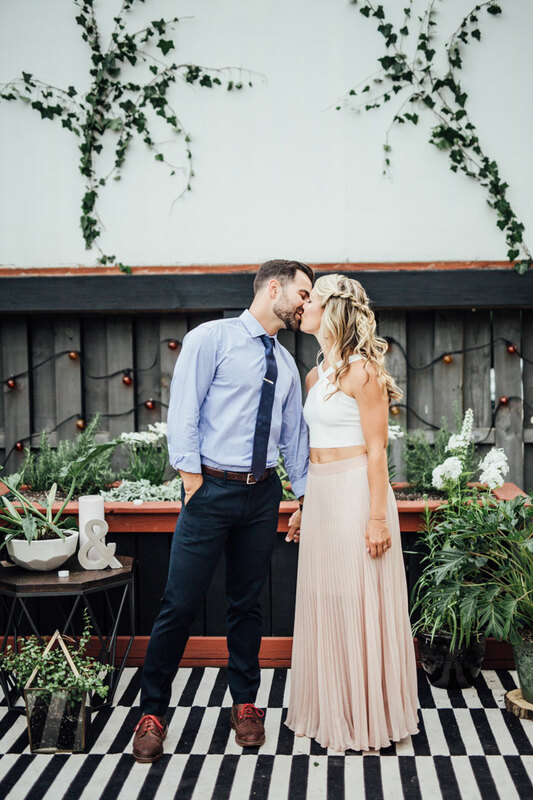 We’re SO excited to be collaborating with the always-amazing Smitten Magazine to bring you Carly and Kevin’s incredible Southern California wedding! 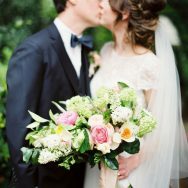 The bride enlisted panning guru, and Grey Collective member, Ever After Events to coordinate a day filled with lush and vibrant details. 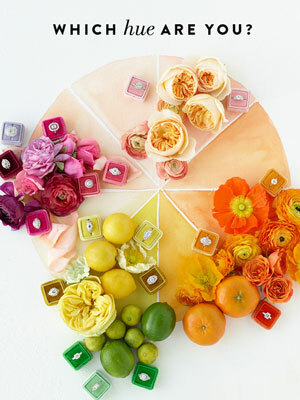 We’re officially obsessed with the bridal party colors—this one’s taking mix-and-math to a whole new amazing level. The rustic-elegant tablescapes sprinkles with citrus are stunning and the florals and abundant and bonkers-beautiful. 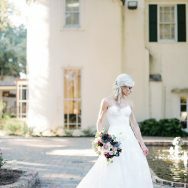 Inviting Occasion, the florist and rental coordinator, created magic with lush greenery everywhere, including on the pergolas and incredible reclaimed wood chandeliers. Seriously, ladies, this one is spectaular and we know you are going to love every image captured by ART IS FOR LOVERS. You can also read more in the current issue of Smitten Magazine Vol. 15 available today! Enjoy!! We really wanted to showcase Southern California because we had so many guests from out of town. We wanted an elegant outdoor setting, but we wanted to make sure it felt like part of the outdoor space. Larrissa at Inviting Occasion and I came up with the idea of doing the pergola overhangs with a citrus theme. I think this design really made our wedding unique. 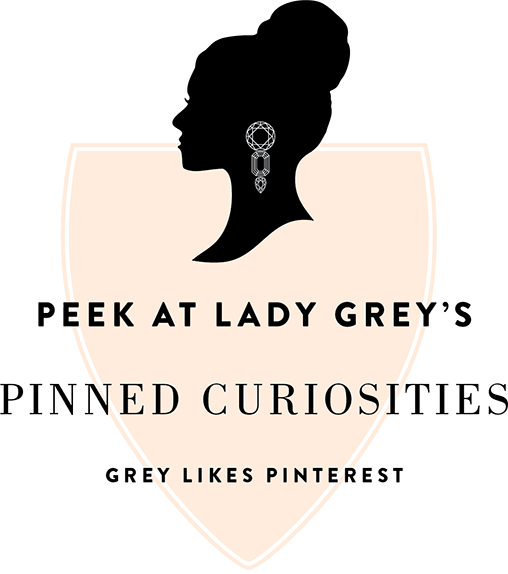 I was so delighted with the way it turned out – it was everything I had dreamed of! Surprisingly, my gown was the first gown I saved on my computer that I wanted to try on. After visiting a few salons and boutiques and trying on numerous styles, I always went back to my original pick: Vera Wang’s “Diana”. The gown’s skirt full of layered silk organza was the detail that I was looking for, and the overall classic design made it timeless. It was obvious by the smile on my face every time I tried it on, it was the one! We tried to incorporate small family details to make the day more personal. I had my mom’s bow from her wedding veil sewn under the skirt of my gown and pinned Kevin’s grandmother’s sapphire cross under the skirt as well. We displayed family wedding photos of our parents and grandparents too. Our citrus theme throughout the wedding was a nod to our engagement and love of Ojai, California. The most memorable part of the day was the wedding ceremony. It had begun to rain as soon as my bridesmaids started walking down the aisle. As I waited nervously with my dad, he was peeking around the corner checking out the rainy situation. As soon as the wedding march started, my dad looked up at the sky and said “it’s stopping!” The rain stopped as soon as I walked out and didn’t start again through the entire ceremony. As I walked down the aisle, I just remember Kevin’s smiling face as well as all of our wonderful guests. It was magical! Kevin and I met our Junior year at Purdue University. We didn’t start dating seriously until after graduation. We fell in love while both living in Chicago and decided to make the move to California in 2012. Kevin gave me the surprise of my life when he proposed in our favorite southern California town, Ojai. He surprised me with a walk in my favorite herb garden and proposed at our favorite spot in the garden — where I said YES! He then surprised me by arranging a celebration with my family along with his family who flew in from Chicago! We spent the rest of the trip celebrating with loved ones, it was such a memorable weekend!